Unlock! is a series of cooperative card-based escape adventures inspired by escape rooms from Space Cowboys. Each Unlock! scenario consists of sixty cards depicting objects, maps, and puzzles that can be activated, solved, or combined in an effort to access other cards and areas. Unlock! uses a simple system which allows you to search scenes, combine objects, and solve riddles. Play Unlock! to embark on great adventures, while seated at a table using only cards and a companion app that can provide clues, check codes, monitor time remaining, etc. 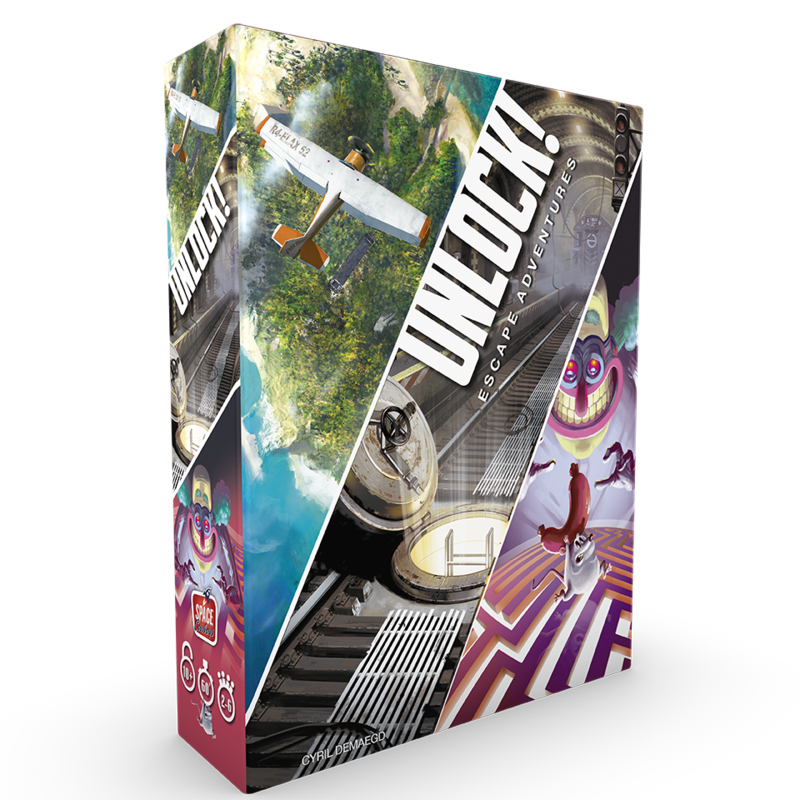 Up to six players work cooperatively to solve each of the riddles and get through the deck within sixty minutes. The free companion app tracks the time allotted to win the game, while also offering hints and unlocking new and necessary elements.